As writers, sometimes we only have a vague idea of what we want to write about. By searching for the Source of Conflict in your story, you can find a unique structure that suits your needs. --and before we're finished, Subtext instantly grabs matching sources of conflict from its massive database. From here, we can see a common Element at the heart of all conflict endured by "punishment": Acceptance. Acceptance of the way things are, consenting to methods designed to keep us from growing, and allowing others to dish out consequences--all of these reflect the negative results of engaging in "punishment". Note that it is entirely up to the Author to determine the "negativity" or "positivity" of these sources of conflict. Conflict is not always negative. There are some people, and some contexts, where punishment, or consenting to punishment, is actually seen as a positive thing--don't assume that the Elements found in Subtext are always negative in nature. You can easily see how "Stop accepting intolerable circumstances, and you can change the working conditions" could frame a story about punishment. Same with "Peace of mind awaits those who refuse to compromise, even if it means failing to get others to conceive of something different." 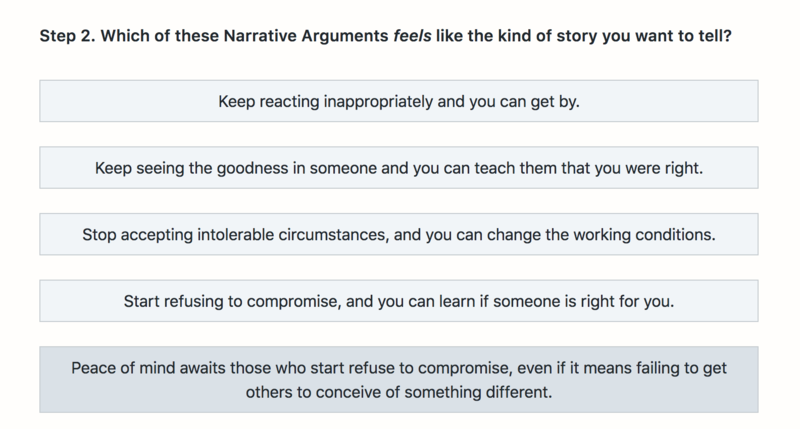 Find the Narrative Argument that connects with you, and select it as your Narrative. Braveheart. Revenge of the Nerds. Antz. 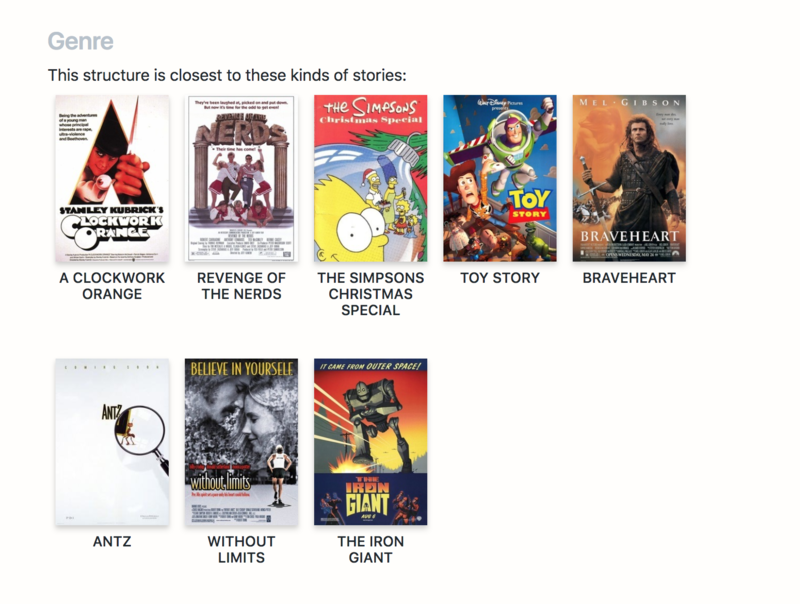 Each one of these films supports this argument that if you stop accepting the intolerable, you can make things better. All we have to do is tap Add Structure at the bottom of this page, and Subtext builds us a narrative supporting this point-of-view. In the matter of a couple of minutes, Subtext helped us build a complete narrative based on a notion of what we wanted to write about in our story. 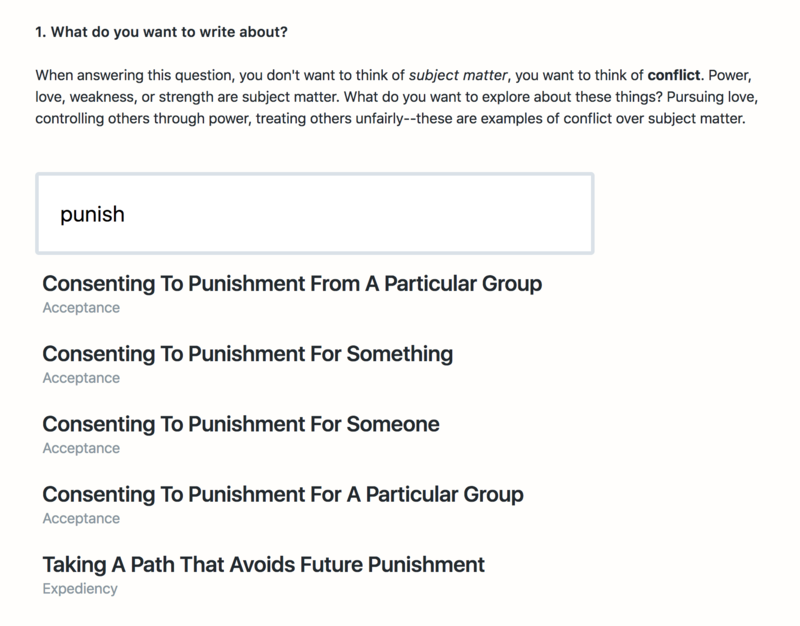 We started out "punishment" and ended up with four solid Structural Acts, consisting of 20+ initial Storybeats, that make the Argument that if you stop tolerating the intolerable you can make a difference. Pretty good way to start writing a story, right?